Tire pressure monitoring systems (TPMS) may warn you if your tires are under- or over-inflated, helping increase your fuel economy and even potentially preventing a tire blowout. What It Does Not Do: May not specify which of the tires needs attention. 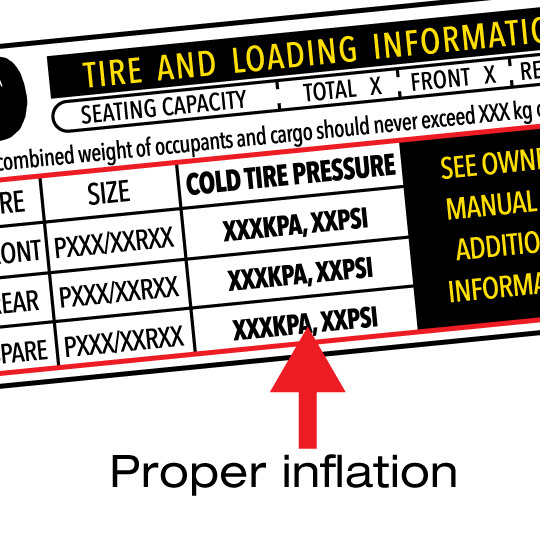 One or more of your tires are seriously under-inflated if this symbol appears. For some cars, it may also appear for over-inflation. 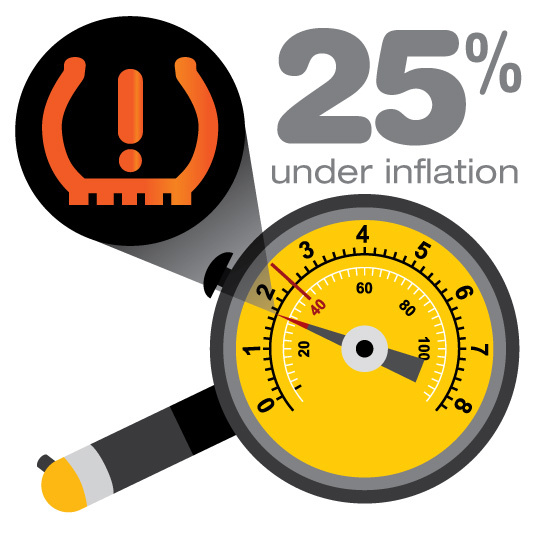 If you're driving, pull over when safe to check each tire's pressure for under- or over-inflation. 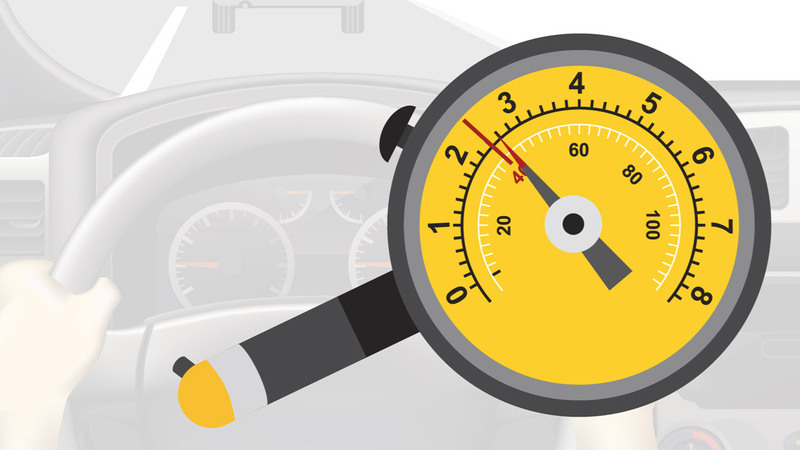 Follow your tires' pressure guidelines to inflate or deflate the tires to a normal pressure range. 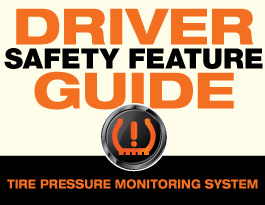 This feature monitors your tires’ pressures and warns you if you have one or more under-inflated tires. Poorly inflated tires are prone to blow outs and may make it more difficult to brake or steer. Some versions of this feature can also detect over-inflation. Both under- and over-inflation will affect the life of your tires and your car’s gas mileage. There are two main types of TPMS sensors. Direct sensors are small, wireless devices inside each tire, which report the tire’s pressure reading to your dashboard. Indirect sensors work by measuring wheel spin and can only tell if a tire’s pressure is low. If your TPMS symbol is on, check the pressure for each tire to determine if one or more tires have abnormal pressure readings. Add or subtract air at a gas station to their recommended pressure ranges. 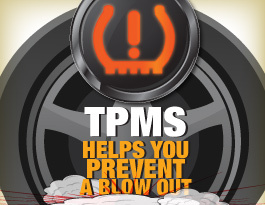 In many cars, the TPMS symbol should then no longer activate. If it does, there may be a problem with the sensor itself as many use a watch battery that lasts about 5 to 10 years. 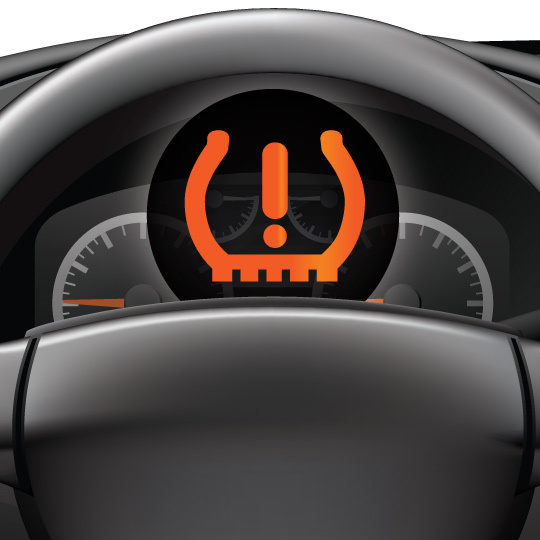 When you see your TPMS dashboard light come on, you don’t need to pull over immediately. You can wait for a safe break in traffic before you pull over to inspect your tires. You should still check the pressure of each tire manually if you’re planning on taking a long trip or after returning from a long trip. Long use – especially in very cold and very warm climates – can change your tires’ pressures enough to affect their functionality. 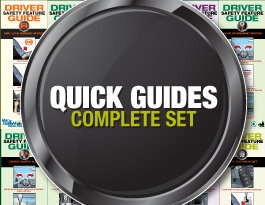 Make it a habit to check your tires’ pressures at the beginning of every new season. Is this feature required by law? Yes; the federal government required all new cars to include this system starting in late 2007. Does this feature let me know if my tires are over-inflated? Most do. 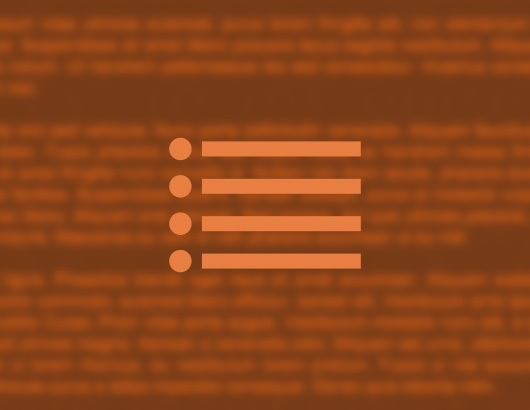 However, some features only detect for under-inflation. 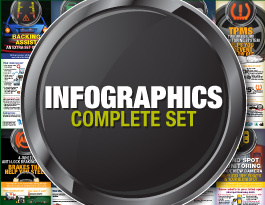 Check your owner’s manual for information specific to your vehicle. Can TPMS save me money? Properly inflated tires can save you as much as 11 cents per gallon on fuel. Proper tire maintenance such as balancing, rotating and inflation can improve mileage and extend the life of tires by up to 4,700 miles. 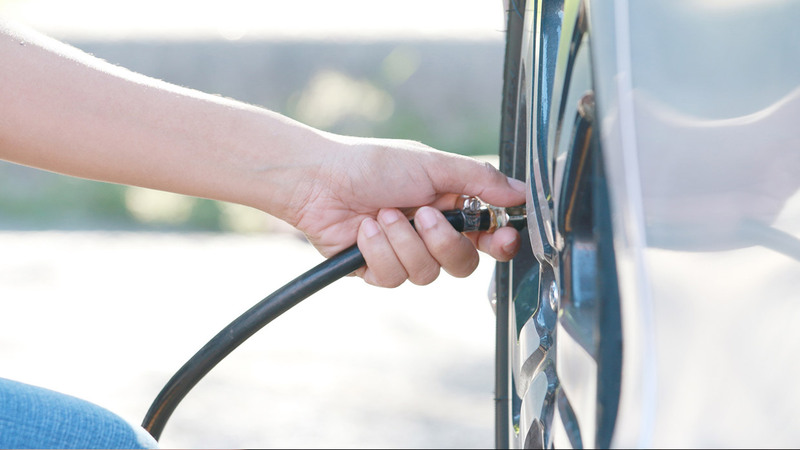 Properly inflated tires can improve a car’s mileage per gallon. Alerts you when the outside temperature is detected to be at or below freezing, which can impact the conditions of roadways. Allows you to adjust your car’s performance based on the road surface. Some may even switch settings automatically.